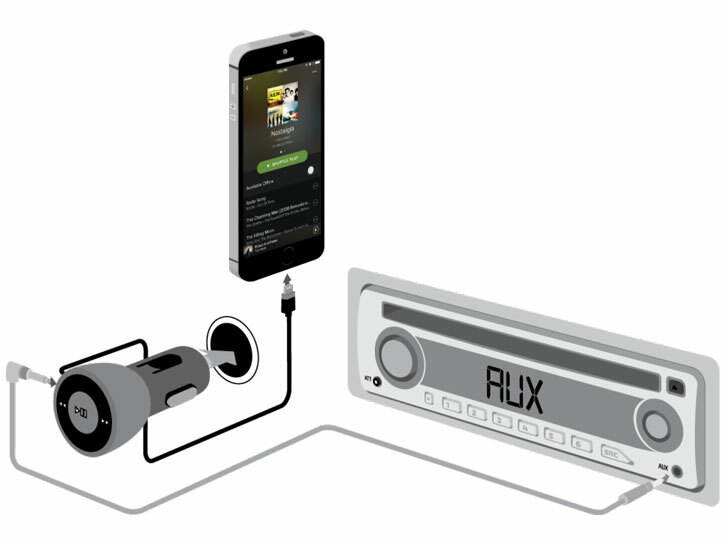 Play and control music from your iPhone or iPad through your cars stereo, with the Griffin iTrip Lightning to Aux adapater. With a built-in Lightning connection, you'll be able to charge your device and stream music simultaneously. Great buy. The kids love it. We just returned from a driving holiday in the US and should have bought it before. 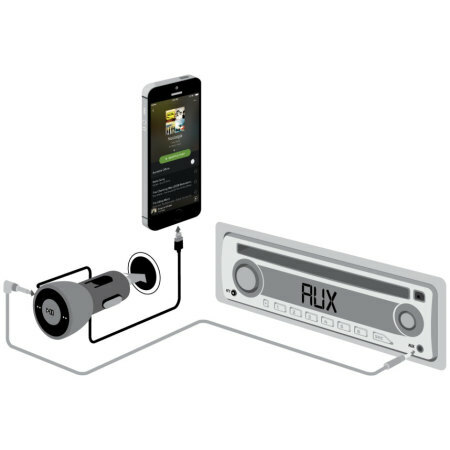 The Griffin iTrip Lighting to Aux Car adapater is perfect for playing music from your iPhone, iPad or iPod Touch through your car's stereo. 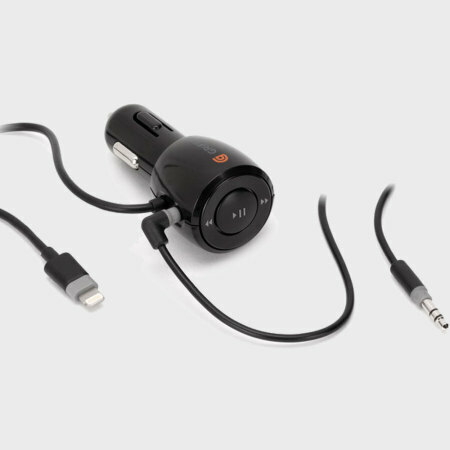 Simply plug in the iTrip into your car's 12V cigarette port, connect your device to the Lightning connection and the 3.5mm jack into the stereo's aux-in port and you'll be ready to start listening to your music. 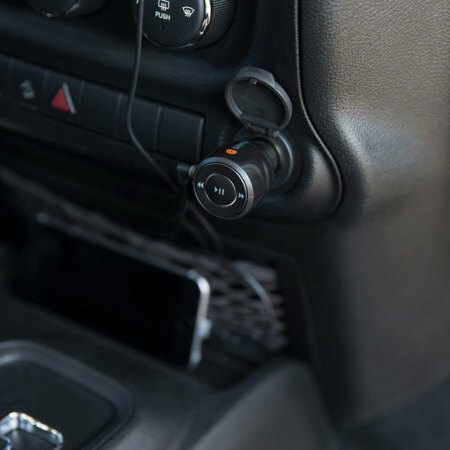 You'll be able to listen to your music with further clarity, as this iTrip features a built-in ground loop isolator to reduce ignition noise through the aux cable. Controlling your music from your iPhone, iPad or iPod Touch could not be any more simple, with the built-in easy to use controls. As the iTrip features Griffin's AutoPilot control system, you'll be able to play music and skip between tracks with the touch of a finger. The Griffin iTrip Lightning to Aux adapter even supports music play back from services such as iTunes, Spotify, Deezer and more, while AutoPilot also works seamlessly. As the iTrip features a 12W built-in charger, you'll never have to remove the iTrip to charge your device as it simultaneously plays music and charges your iPhone, iPad or iPod Touch.